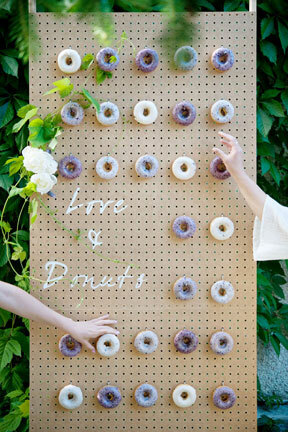 Donut walls…”the best thing to happen to weddings this year”. A few simple details, a touch of lavender and a wall of delicious donuts made this bridal shower perfection. Since appearing on Inspired By This, this donut wall has been featured by Good Housekeeping and on the Rachael Ray Show. Their love story began in the Andes so it was perfectly fitting that five years later when they renewed their vows, they chose the Canadian Rockies as the backdrop. I’m not sure if it was the beautiful bride in an elegant Hayley Paige gown, the heartfelt pledges they made to each other or the towering peaks at Spray Lakes, but this was a “goose bump” moment for me. Afterwards they toasted to the next five years with a winter picnic on the lakeshore. Lovely to have this winter mountain vow renewal featured on Rocky Mountain Bride. I knew Kari and Derek’s wedding would be fabulous. She was a fashion blogger with a love for everything pink and sparkly and he, a dashing pilot. Fabulous indeed. They tied the knot in a family orchard overlooking Kalamalka Lake in Oyama, British Columbia. From the handmade invitations to the wedding arch, (made with love by the bride’s father), thought went into every detail. Throughout the planning process, Kari kept referring back to her favorite wedding blog, Style Me Pretty. It was a dream come true for her to have her wedding featured there a few months later. Ice cream cones on a wedding day? Yes please! 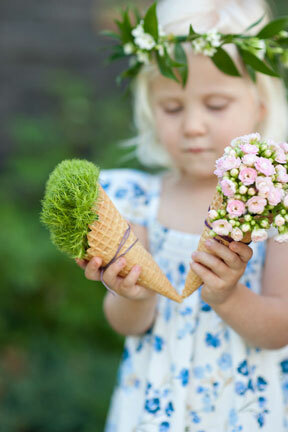 These floral ice cream cones are a playful twist on the petal baskets typically carried by flower girls. 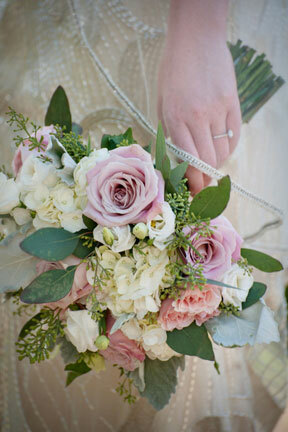 What a treat to create and photograph a simple project for a bride who doesn’t shy away from a little DIY. Working with sweet flower girls, Kennedy and Ellie, was the cherry on top. Thank you to Swooned Magazine for the feature that was just in time for National Ice Cream Day. Meadow Muse Pavilion is a breathtaking location for an outdoor wedding in Calgary. Located in the heart of Fish Creek Park, this tented venue really brings the outdoors in. In keeping with the natural setting, the décor designed by Naturally Chic Weddings was both modern and botanical with hints of shimmering gold. 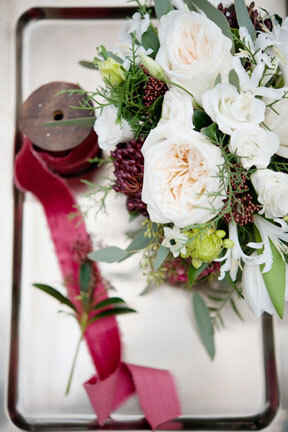 The fall florals featured seasonal blooms and produce. That’s right, kale and artichokes. 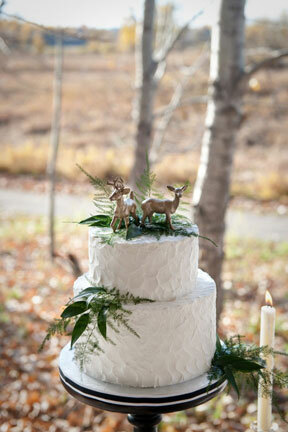 In a nod to the deer we spotted outside in the meadow, gold deer figurines dotted the tables and even the wedding cake. Avenue Magazine reached out to highlight this beautiful venue in their annual wedding issue. Thank you. Jody and Janelle met on the other side of the world but when it came time to select a location for their wedding, they chose Fernie, British Columbia. 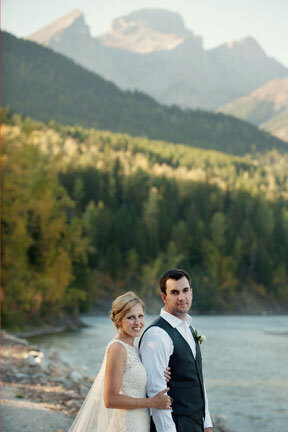 They had spent countless hours skiing, hiking and enjoying the mountains there so it was the ideal spot to say “I Do”. Their outdoor took place at the Fernie Golf and Country Club. The fall leaves set against the peaks provided a stunning backdrop. Their feature on Mountainside Bride in peachy tones is sure to provide inspiration to couples planning mountain weddings.